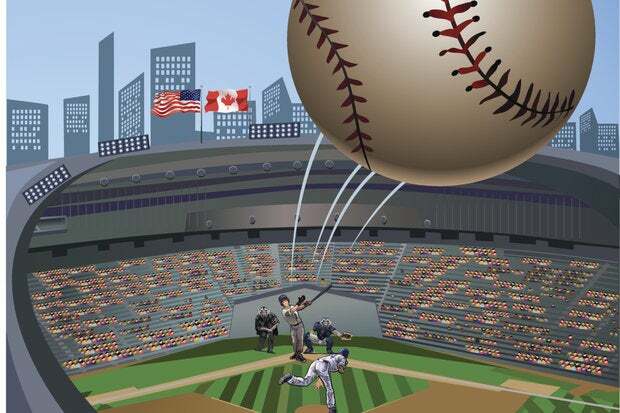 Can technology speed up baseball games? ESPN’s fantasy games tech guru discusses how the technology driving the popular fantasy baseball site has evolved since its debut and explains why mobile is an especially high priority. What’s more exciting to a baseball fan than the start of a new season? To many, it’s the start of fantasy baseball season. Indeed, some might argue (and have) that fantasy baseball, where individuals manage hand-picked teams of MLB players and compete against others using player statistics to score points, has become more popular than Major League Baseball. So with fantasy baseball about to get underway, CIO.com went behind the scenes at one of the most popular fantasy baseball sites, ESPN Fantasy Baseball (which debuted in 1996), to find out how the site (and the game) has evolved technologically over the last 19 years. CIO.com: How many users does ESPN Fantasy Baseball currently have? How many of them are mobile? Jason Waram, vice president, product development, fantasy games and social media at ESPN: I think it’s fair to say more than a million. [ESPN does not release Fantasy Baseball subscription figures.] It’s nowhere near the range of football [which has over 6 million subscribers]. And I’d say that three-quarters of the users are using our mobile products. That’s been a focal point of ESPN, how we approach mobile users. CIO.com: How often are stats updated? Waram: Hundreds of times a day. Every time a stat happens, it’s there. As soon as something happens in the ballpark, we’re privy to the MLB feed. It’s processed by our stats and information group. Then it trickles down to power things like the live box scores and game recaps on the [ESPN] site. Then it goes into our fantasy system where people’s stats are updated probably within a 5-to-10-second range of the event happening. CIO.com: How many people work with you on ESPN Fantasy Baseball? Do you have a dedicated tech team? Waram: I would say directly there [are] 14 [people]. To put it in perspective, though, Fantasy Baseball, Football, Basketball and Hockey all run on the same core platform here at ESPN. And that’s a different platform than for March Madness, Streak for the Cash, things like that. But we have a dedicated staff for what we call our League Manager games. [In addition,] there’s probably another dozen people who look after overall infrastructure, data infrastructure, and stuff like that, who come in and out of these games depending on where we are in the development cycle. CIO.com: What platform/software do you use to run the site? Waram: We’re a core Java shop, and we use Microsoft’s database products. Then we have a front-end open-source templating language that we share with the rest of the Walt Disney Company that powers the front-end presentation layer. CIO.com: Do you have servers on site, or somewhere in the U.S., or do you store data in the cloud, or use some combination? Waram: We have our own data center that we share with other properties at the Walt Disney Company that’s located in Las Vegas, in a colo facility down there. [We use] the cloud for some things, like the new scoreboards that we have coming out with our redesign. But for the most part, the high- availability, high-throughput system is all run through our data center in Las Vegas.